Helgufoss is a small but very pretty waterfall located 18km from Reykjavík, on the Laxness Trail, the Poets Path that was named after the Icelandic Nobel Prize winner author, Halldór Laxness. His house was located nearby. The walk to the fall is very easy, absolutely suitable for families with small children or elderly people. There is a hiking trail up to the mountain for the adventurers. 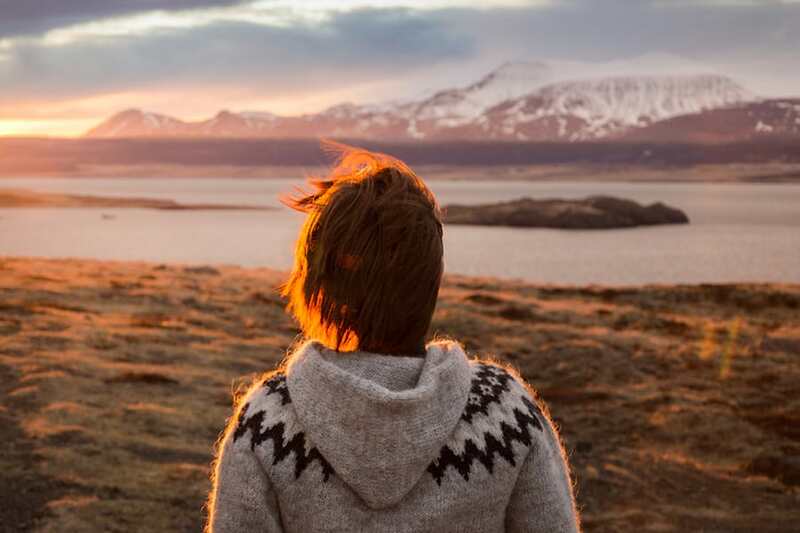 Located only 26km from Reykjavík, this mountain is an outdoor paradise for people who live or stay in Reykjavík. In summer it's ideal for hiking and mountain biking but it is also popular with skiers in winter. The picturesque peak is often visible from the distance - even from Reykjavík. Its bright, yellow color - thanks to the ryolite, the same volcanic rock that makes the Landmannalaugar area so famous - is very eye-catching. The hike is quite challenging since the trail is pretty steep, especially around the peak. But the scenery is just breathtaking! This mountain is one of the most beautiful places I've ever seen! Hengill volcano lies about 30 km from Reykjavik. The last eruption was about 2000 years ago but the volcano is still showing high geothermal activity. There are two power plants in this area which provide renewable energy renewable energy for Reykjavík and the surrounding villages. There are a plenty of amazing hiking trails here, all are well constructed and properly signposted. The landscape is extremely varied and beautiful. Mossy covered lava fields, volcanic rock formations, boiling hot springs and hot rivers, steam rises in every direction. Warmly recommended! An absolutely stunning hiking area located only 15km from Reykjavík, easily accessible by car. The trail is fairly steep but short with a magnificent view from the top. The first kilometer is less interesting but then you'll reach the area of incredible lava formations. It feels like hiking in another geological age. Especially recommended under the midnight sun! You might need crampons in winter.